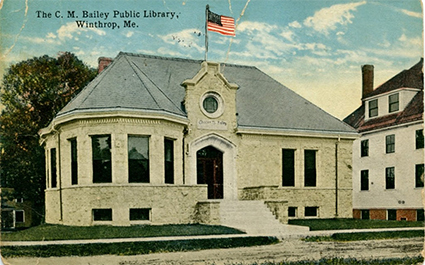 The Winthrop Public Library was originally opened on July 8, 1889. The original library location was known as “Packard Block” and was located in downtown Winthrop. The library contained 1,322 volumes at the time of opening and featured a reading room. The collection had grown to 2,700 volumes by 1904. The cost to use the original library was $1 per year, and the library construction was funded through a combination of private fundraising and a Town grant. In November of 1916, Charles M. Bailey (pictured left) entered into an agreement with the Town of Winthrop to give a new building to be used for library and reading room purposes. The new library was opened to the public on December 2, 1916 in a dedication ceremony that featured president of Colby College, Arthur J. Roberts, and Dennis’ Orchestra of Augusta, Maine. 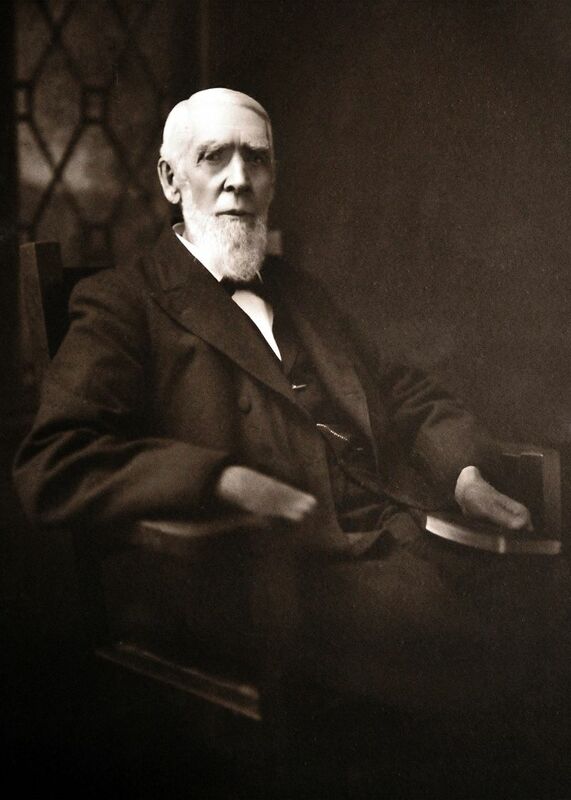 Charles M. Bailey was the best known member of the Society of Friends in Winthrop, and was known for his “Bailey’s Praying Band,” who conducted evangelistic services. Bailey also owned one of the largest oilcloth manufacturers in America at the time, and employed two hundred individuals in Winthrop in the early 1900s. The original rock face and chiseled granite structure, still in use today, was designed by Maine architect John Calvin Stevens, and his son John Howard Stevens. Charles Irving Bailey (the elder son of Charles M. Bailey) was the first person to serve as Chair of the newly formed Board of Trustees. Lula A. Clifford was the first head librarian to serve in the new Bailey building, and served to the time of her death in 1940. Clifford’s starting salary was $1 for each afternoon and evening the library was open to the public, and in 1920 was set at $25 per month. Mr. John Stanley served as Town Librarian for twenty-five years (at the Packard Block location) before Charles M. Bailey donated the Bowdoin St. building. John Stanley continued serving on the Board of Trustees and Book Committee after Clifford was hired in 1916. Lula A. Clifford was Stanley’s assistant librarian prior to 1916. The library became a free library in 1970. The Building Committee first encouraged the Board of Trustees to start thinking in terms of future expansion and acquisition of adjacent land in 1966, and in 1972 the Board of Trustees hired architect George Royal to establish a plan for library expansion. The Winthrop Masonic Hall (occupying the adjacent land necessary for expansion) was put on the market in 1973, and the library Building Committee requested right of first refusal of the property. Further, a 1973 Maine State Evaluation of the library reported that “additional space is much needed and…the library shows a definite need for expansion…” In 1974 the library renovated the basement to be used as a Children’s Room. A YA room was added in the early 1980s. The library was added to the National Register of Historic Places in 1985. 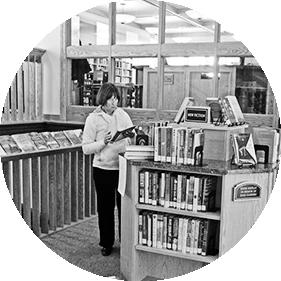 In 1988 the library joined MaineCat and became partially automated. The library became fully automated in 1994 and fully handicap accessible in 1997. 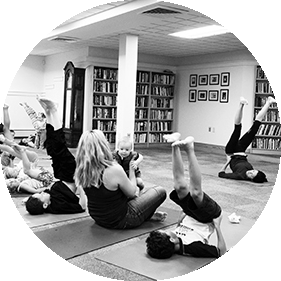 The library has long been a place of robust and vibrant programming and lending. In the 1980s the library hosted midday Reading Rainbow viewing parties, puppet shows and lent Polaroid cameras. Today the library hosts activity hours, affinity groups, natural history events and lends snowshoes. In 2005, the Town of Winthrop purchased the adjacent land necessary for library expansion, and the Board of Trustees hired architect Phil Locashio and began planning.  In 2012, the Library Trustees announced the capital fundraising campaign chairpersons, and in 2014 Library and Winthrop Town officials announced plans to begin construction on a one-story addition. The expanded library opened on June 1, 2015.